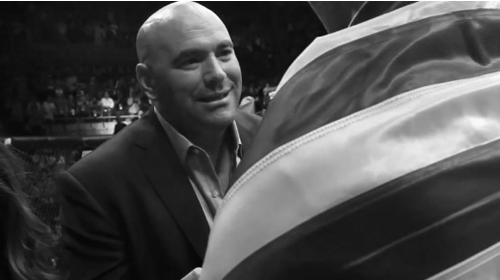 Dana White Vlogs from 2014. UFC 175 Part 2 Dana Vlog Aug 27, 2014 (7:09) Go behind the scenes on fight night at UFC 175 featuring Chris Wediman and Lyoto Machida. 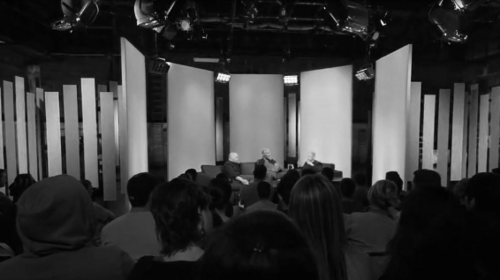 UFC 175 Part 1 Dana Vlog Jun 30, 2014 (12:10) Dana heads to New York to be a guest on the Jim Norton Show with Mike Tyson. UFC Fight Night: Munoz vs Mousasi & Miocic vs Maldonado Dana Vlog May 29, 2014 (10:32) Go behind the scenes at UFC 173: Barao vs Dillashaw. 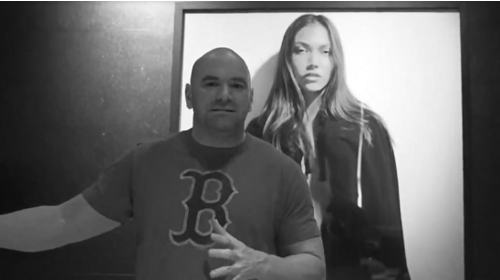 UFC 173 Dana Vlog May 16, 2014 (14:04) Before UFC 173, Dana looks back at UFC on FS1: Brown vs Silva. 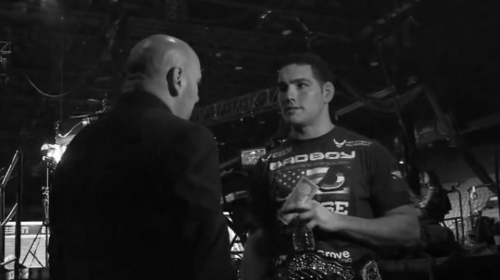 UFC 172 Dana Vlog Apr 21, 2014 (10:27) Follow Dana during the drama of Johny Hendricks nearly missing weight at UFC 171. 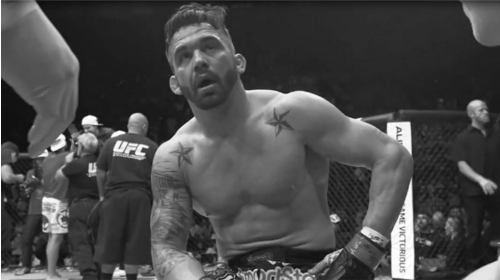 UFC Fight Night: Shogun vs Henderson Dana Vlog Mar 18, 2014 (12:20) Go behind the scenes with Dana on fight night at UFC 169 and UFC 170. 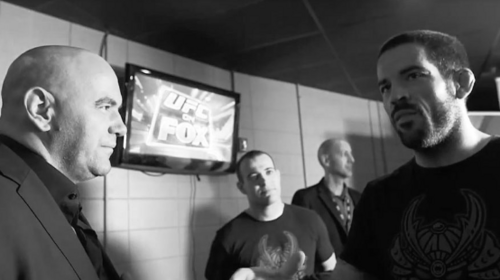 UFC 170 Dana Vlog Feb 17, 2014 (14:24) Dana shows you a bunch of unseen footage from multiple recent UFC events. UFC 169 Dana Vlog Jan 28, 2014 (14:25) The UFC President present a behind the scenes look at the epic UFC 168 card, including hijinks with Matt Serra, a great performance from Ronda Rousey and a career-threatening injury to all-time great Anderson Silva.